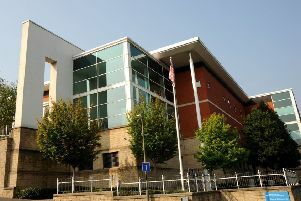 Paul Cooper, 56, of Priory Road, Sheffield, pleaded guilty to committing fraud amounting to �251,754.52 while he was working for the Derbyshire Citizens Advice Bureau. A fraudster who stole over a quarter of a million pounds from Derbyshire Citizens Advice Bureau where he worked spent much of the money on a luxury lifestyle with fast cars and cruise holidays. Derby Crown Court heard on Tuesday, December 15, how Paul Cooper, 56, admitted transferring the cash from the CAB charity based in Steep Turnpike, Matlock, between October, 2012, and August, 2014, into his own accounts. Prosecuting barrister Justin Wigoder said: “This defendant is a qualified accountant who was providing financial expertise to Derbyshire CAB which is a charity assisting others who cannot afford any other help with financial and domestic problems. “He prepared monthly management accounts and dealt with the day-to-day running of financial aspects of the CAB and he had access to bank accounts and had a secure dongle to get online access. The court heard how Cooper was one of three people allowed to authorise invoices and make payments so bank statements looked legitimate using official names but the money was being made out to a number of different accounts controlled by the defendant. Mr Wigoder highlighted one example when £7,447.98 for Rural Action Derbyshire went into Cooper’s Lloyds account and was transferred out into another Lloyds account and the money was spent on himself within a fortnight. Cooper treated himself to an Audi SQ5 worth £55,885 and he stole money from the CAB to make account payments for this car. The defendant’s account was reported to be slightly overdrawn in October, 2012, at the time his offending began, according to Mr Wigoder, and at some point he had been taking out loans and forged invoices to go with payments but he was mainly falsifying bank statements. Suspicions were raised when a CAB colleague wanted access to accounts but she was never granted access by Cooper, according to the court, but when she managed to get access she developed concerns. Mr Wigoder added: “Genuine suppliers weren’t getting paid and auditors were struggling to get financial material and Cooper provided a wrong password and would not provide an account with PAYE log in details. “Further matters came to light and he was suspended and police were informed. The court heard how he also used the money to pay for P&O cruises, luxury hotels, airport parking, shopping, plants for his garden and other items. Cooper, of Priory Road, Sheffield, pleaded guilty to committing fraud amounting to £251,754.52. Judge John Burgess revealed that Cooper’s proposed defence before pleading guilty to fraud had been that he was investing sums for the CAB but the reality was nothing was being invested. Rebecca Turner, defending, said Cooper has no previous convictions and argued there are concerns for his welfare because he is expecting custody but has not been in a custodial environment before. However, Judge Burgess sentenced Cooper to a four-and-a-half year custodial sentence. He said Cooper had effectively “free reign” of the CAB’s finances and was supposed to be giving advice and was expected to be prudent, but instead he “fleeced” the charity of a quarter of a million pounds. He told the defendant: “You spent the money on a luxurious lifestyle. You bought expensive cars, you went on a cruise, paid your mortgage and paid your daughter’s livery fees. Investigating officer Det Con Paul Hackett said: “The investigation into Mr Cooper was an intricate, lengthy and complex one which has been concluded in a conviction. Chief Officer Chloe Small, of the newly-named Citizens Advice Derbyshire Districts, has offered reassurances to clients after what the charity described as an upsetting 15 months. She said: “We welcome the conclusion of the case. This was an individual who abused his position and trust, with the intention of bypassing internal controls for his own gain. “The last 15 months have been an upsetting time for the organisation. Throughout this period, however, our dedicated staff and volunteers have worked hard to ensure that our clients and their needs have not been impacted. “We have continued and strengthened our work across Derbyshire, making a positive difference in people’s lives. “As a charity, serving some of the most vulnerable people within in our communities, Citizens Advice Derbyshire Districts provides an important and valued service for all residents at all times.